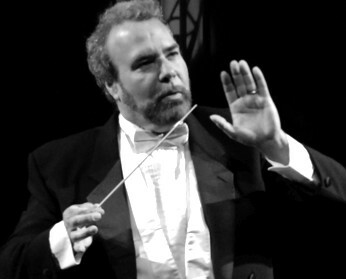 The American Prize is pleased to announce 2012 competitions for OPERA and MUSICAL THEATER COMPANIES and their CONDUCTORS. The postmark deadline for these competitions is Thursday, March 15, 2012. Complete information and application forms may be found on The American Prize website, where recent winners are profiled. Additional competitions, including those for classical vocalists in art song and opera, are outlined below. The American Prize is pleased to announce 2012 competitions for PIANISTS (in both solo and concerto performance), classical VOCALISTS (in both opera/operetta and art song performance), and COMPOSERS (in both choral and orchestral music.) The postmark deadline for these competitions is Thursday, December 15, 2011. 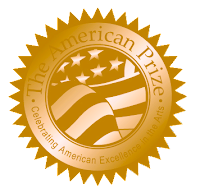 Complete information and application forms may be found on The American Prize website, where recent winners are profiled. A student from Oberlin College has a big bully pulpit in today's issue of USA Today concerning high school music education and classical music. His opinion is, in my view, so well-meaningly misguided that I had to respond. I wanted to share my comments on The American Prize blog, whether the newspaper prints my letter or not. I agree with David Sall that music education in America needs to better embrace technology in an effort to broaden its appeal and its offerings—but not to the exclusion of classical music. To imply that Shostakovich (and by extension Beethoven and Mozart, choruses and orchestras) are now irrelevant because people can create their own music through Garage Band means students are not learning the fundamental value and importance of art. Music education in high schools is not, nor should be, primarily vocational, nor recreational. The greatest classical music (of any period—and from any culture) contains nothing less than the emotional history of mankind. To not know Shostakovich, Beethoven, Mozart, (or Villa-Lobos, Revueltas or Ginastera, for that matter) means to be that much more ignorant of empathy—to understand less about how hope, oppression, joy, beauty, fear, love have molded humankind since the beginning. I would not wish that on any young person. In a world where interconnectedness is more about electrons than personal interaction, we downgrade the teaching of the classical performing arts at our peril.